Flavored by thyme, vinegar and ground meat, these eggs are a hearty breakfast dish. 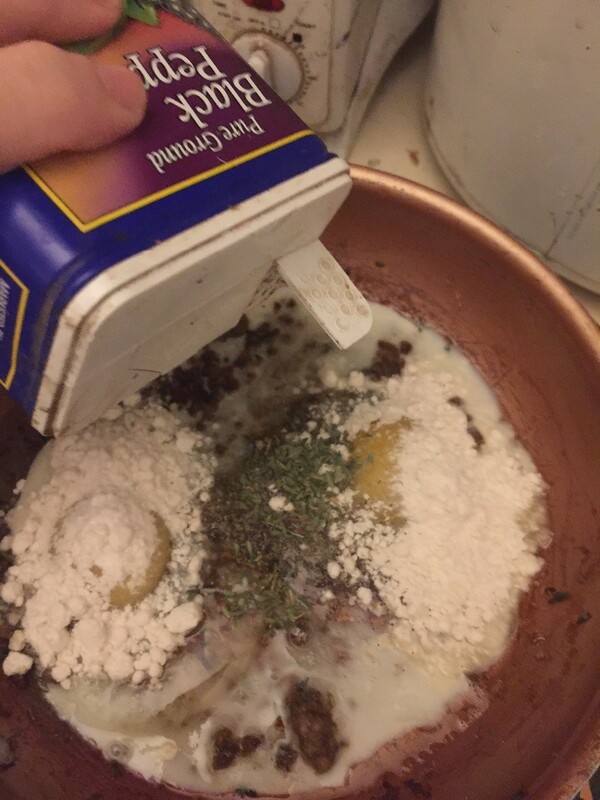 The recipe is mixed in the pan. 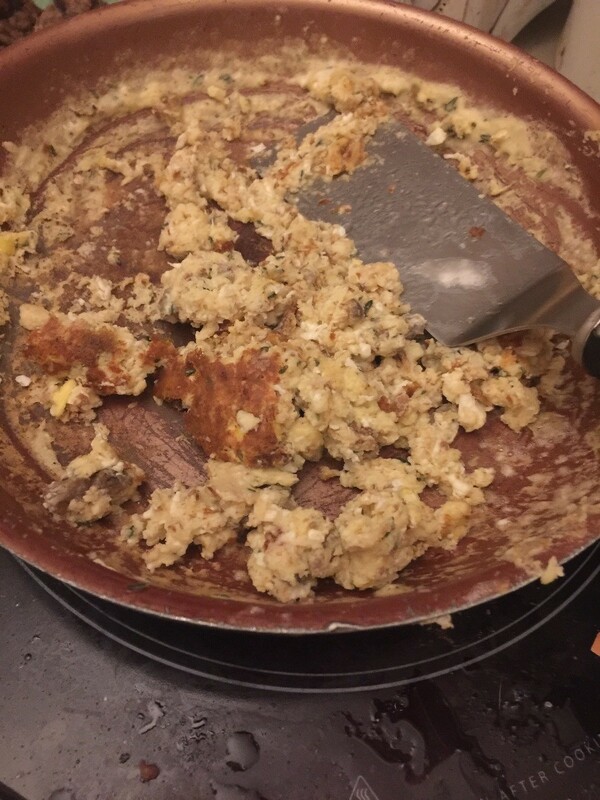 This page contains a olde thyme scrambled eggs recipe. 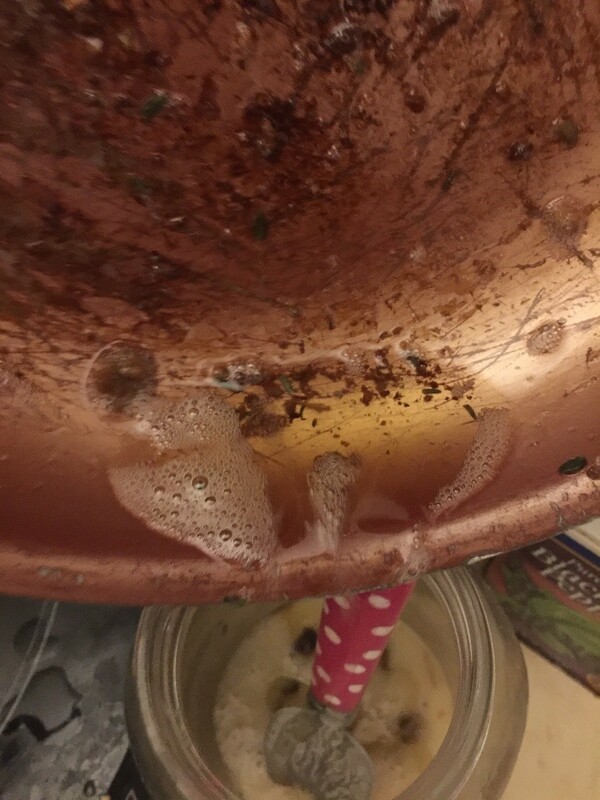 Drain skillet after cooking beef patties, or use a tablespoon of oil. 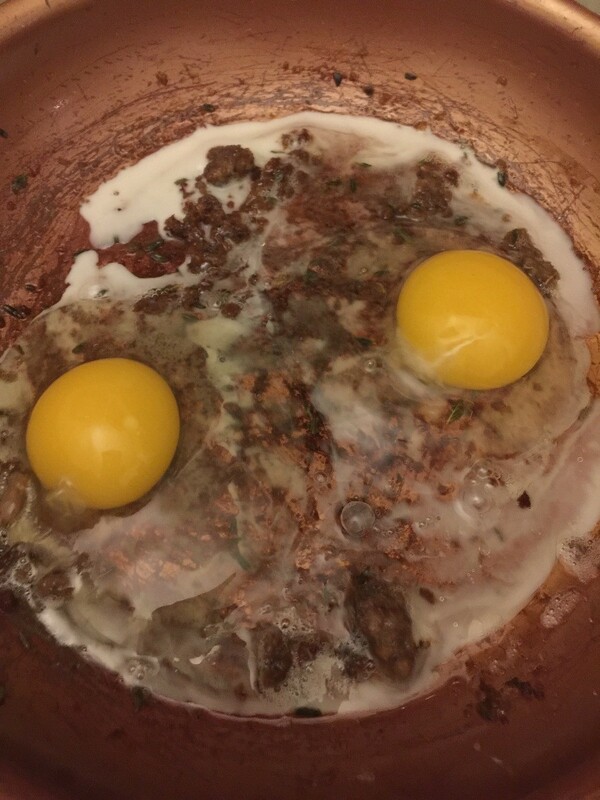 Crack two eggs into skillet without breaking the yolk. 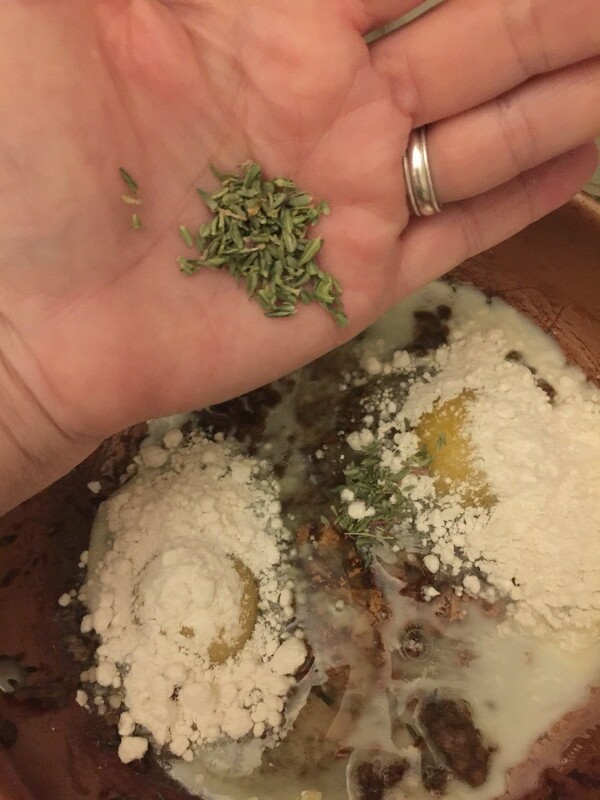 Place 2 tablespoons flour on top of each yolk. 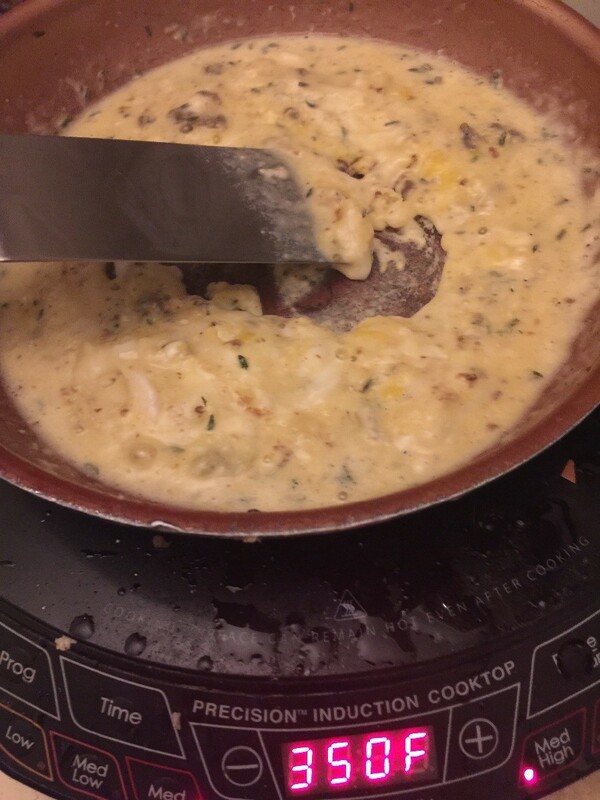 Place 1/4 cup water into the skillet. 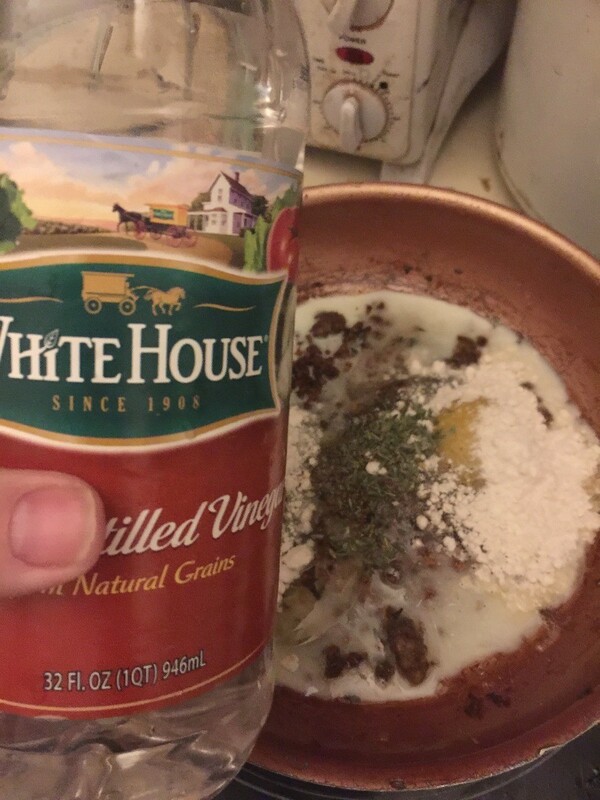 Place vinegar and salt into skillet. 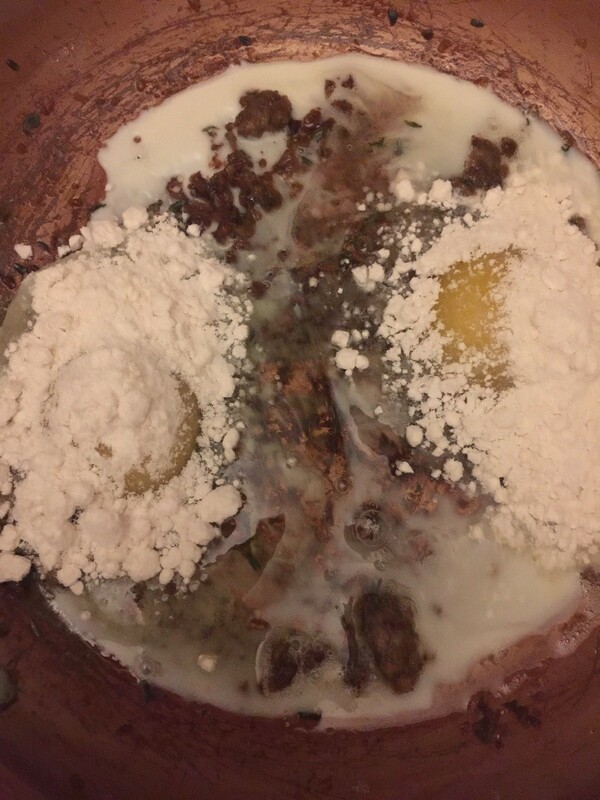 Stir eggs and flour mixture together with a spatula. 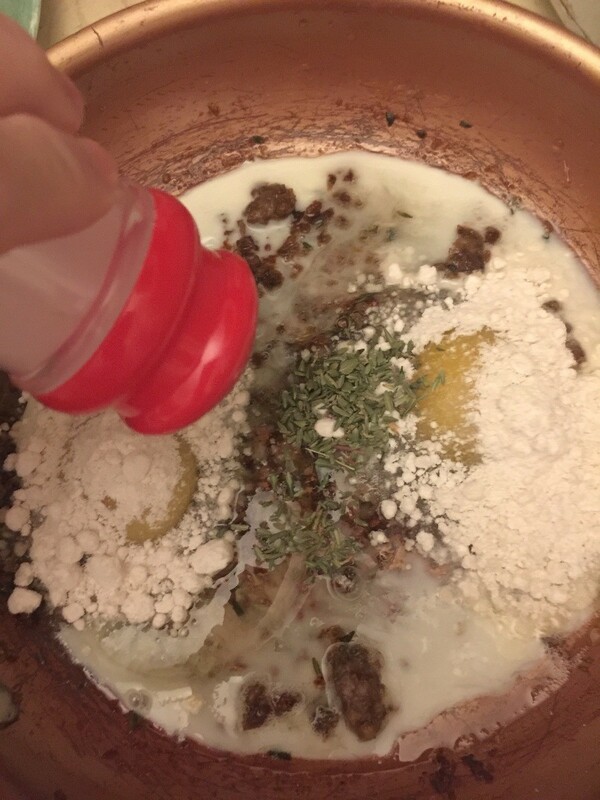 Scramble this mixture together. 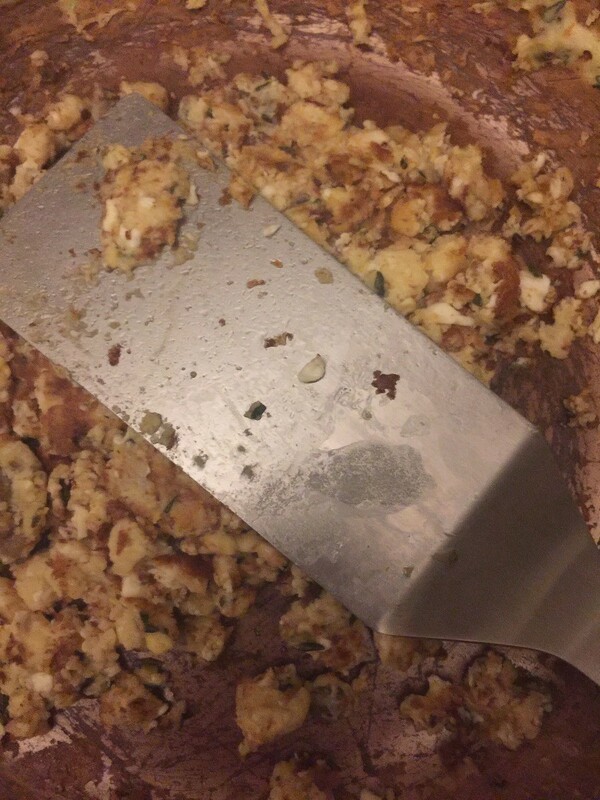 Press down eggs with spatula, turn up heat if necessary, to brown both sides of eggs mixture. 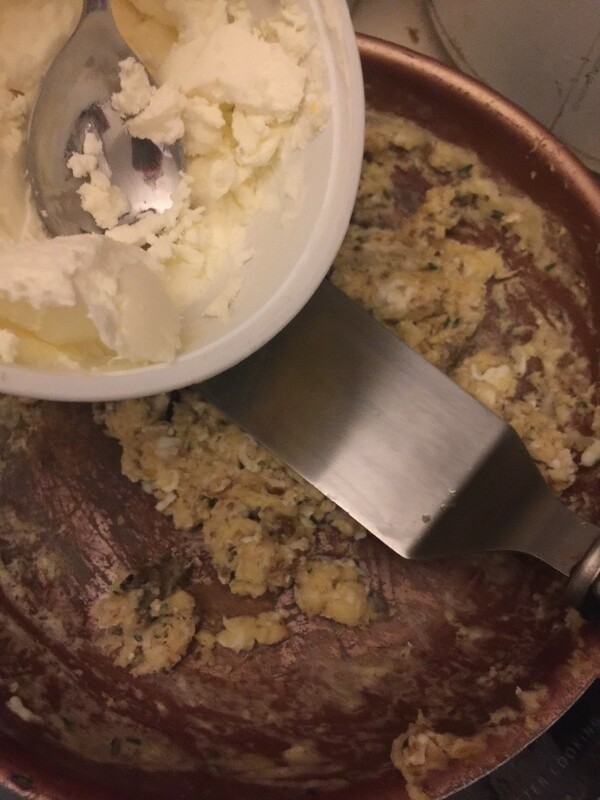 Place butter onto mixture, heat until nicely browned. 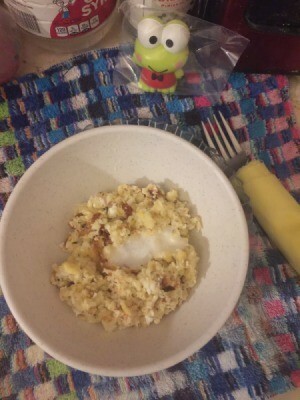 Place eggs on plate add a teaspoon of butter and serve. What beef patties? 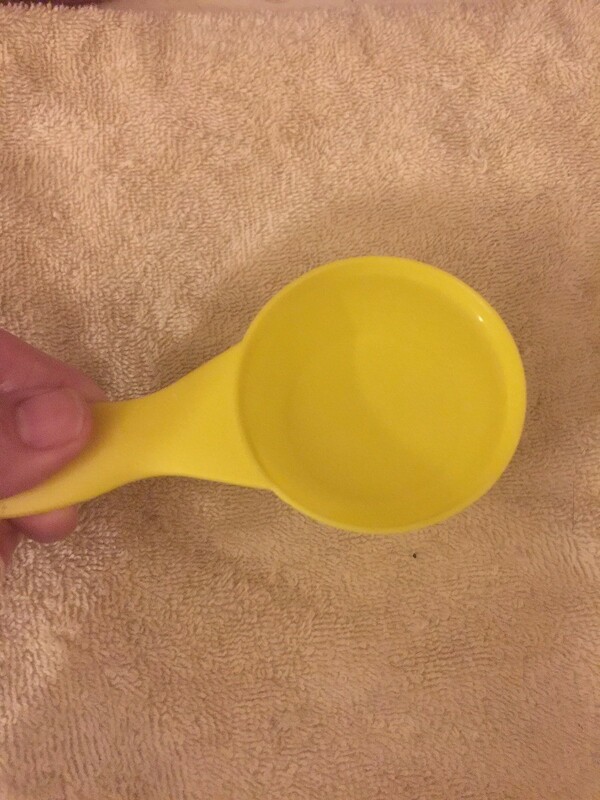 Is something missing from the recipe? She is using the beef fat from a previous meal for the oil in her pan. You can use any cooking oil instead.